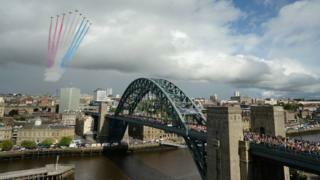 The streets and skies above Tyneside were awash with colour as thousands took part in the 2018 Great North Run. 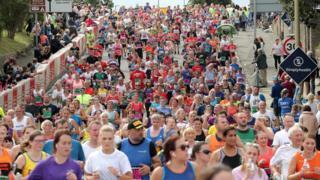 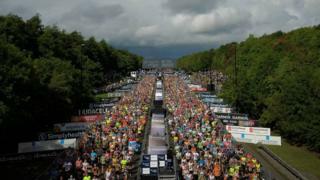 About 57,000 people registered to take part in the annual half marathon between Newcastle and South Shields. 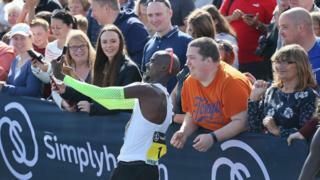 As ever, fun-runners followed in the footsteps of the world's elite distance athletes with Sir Mo Farah sealing a record-breaking fifth victory in the men's event. 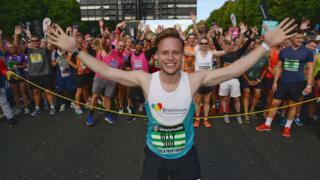 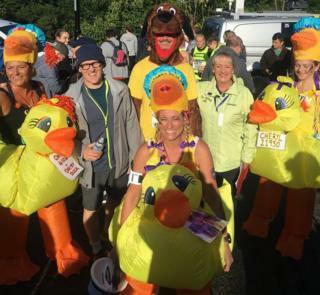 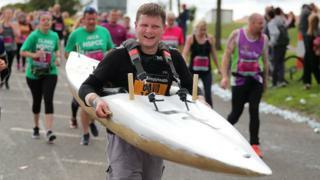 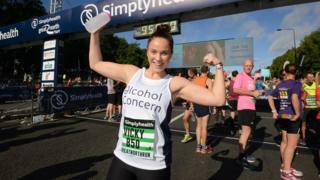 The Olympian reached the finish line in an impressive 59 minutes and 26 seconds - while many others had only just crossed the start line back in Newcastle.